for Christmas. Each year, I make something a little more special for my members to show them how much I appreciate them. Case and call it done. I printed small monthly calendars off the Internet, and proceeded to enhance each of the Naturals White pages with appropriate stamping. 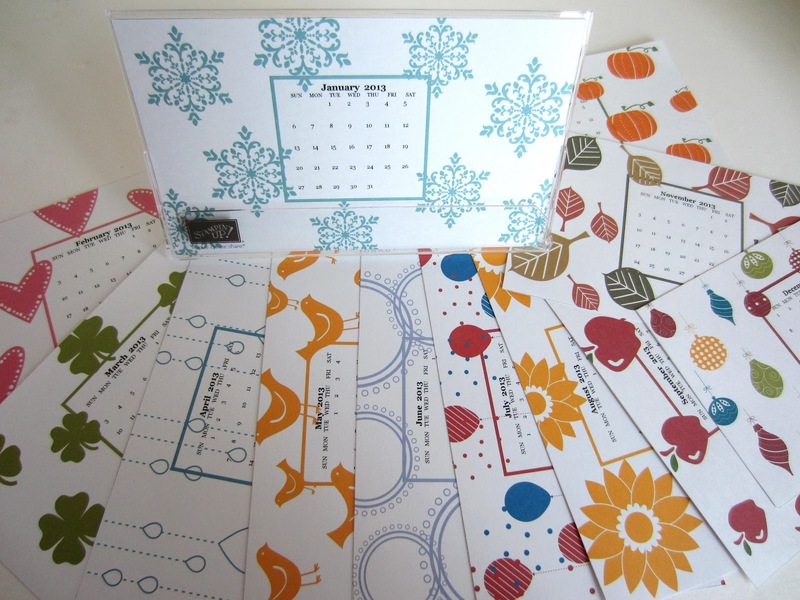 Unfortunately, after I glued the monthly calendar onto the page and stacked 12 of them together, they could not be inserted into the slit to contain them in the case. The pile was just a tad too thick. Gulp. I had already spent a few hours on them. Now what? I wanted them to all be contained within the case, and this was not going to work. Put on thinking cap. change the year, the font, the size, etc., until you have what you need. 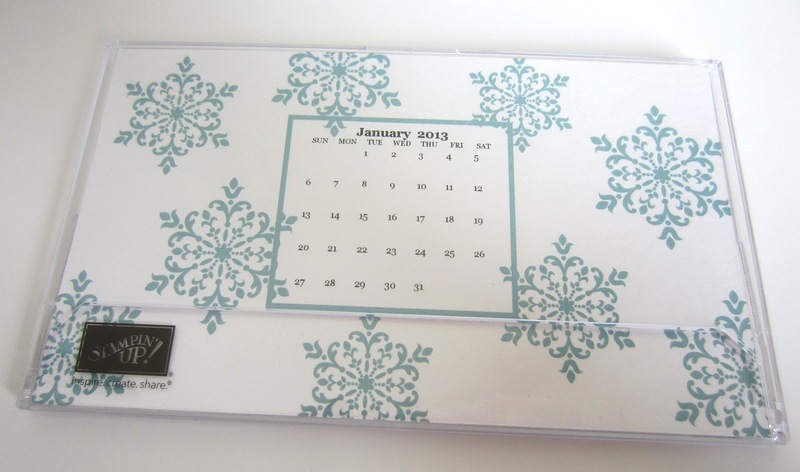 This is how the completed calendar looks when it's closed, just lying flat. Here it is with January inside the open case and all the other months arrayed around it. Of course, all the months, when stacked together, fit just right inside the case. It was really a lot of fun to create this unique calendar in MDS. The stamps could be resized, tilted and recolored. I even used more than one color on five of the months: July, September, October, November and December. And, I now have it saved on my computer, so if I need an extra calendar, I can just print it out without hauling out all my traditional stamping supplies. That is so neat and what a great gift for your friends. Thank you for linking up at Craft, Create & Inspire linky party last weekend , your awesome project is featured this weekend!! those look so great! i'm sure your members were so happy to get those!